Did you know that you can use your SNAP EBT benefits at over twenty farmers markets and farm stands across the state of Utah? Learn how it works and find a location below. STEP 2 - Decide how much money you would like to spend. The attendant at the booth will swipe your card for the requested amount, and will give you wooden tokens worth one dollar each that you can use to purchase food from vendors at the market. You can use the tokens right away or save them for another day. See a List of MarketsOr see map below. WHAT CAN I BUY WITH MY SNAP BENEFITS? SNAP benefits can be used to purchase any SNAP-eligible foods, including: fruits, veggies, herbs, meats, fish, poultry, breads and other baked goods, dairy, maple syrup, pickled goods, jam, honey, dressings, cider and other non-alcoholic beverages, other non-hot foods for the household to eat, and seeds or plants to grow food. SNAP CANNOT be used to purchase: beer, wine, liquor, cigarettes or tobacco; any non-food items (e.g. pet foods, soaps, paper products, household supplies); vitamins and medicines, food that will be eaten at the market, hot foods. DOUBLE YOUR SNAP EBT DOLLARS! 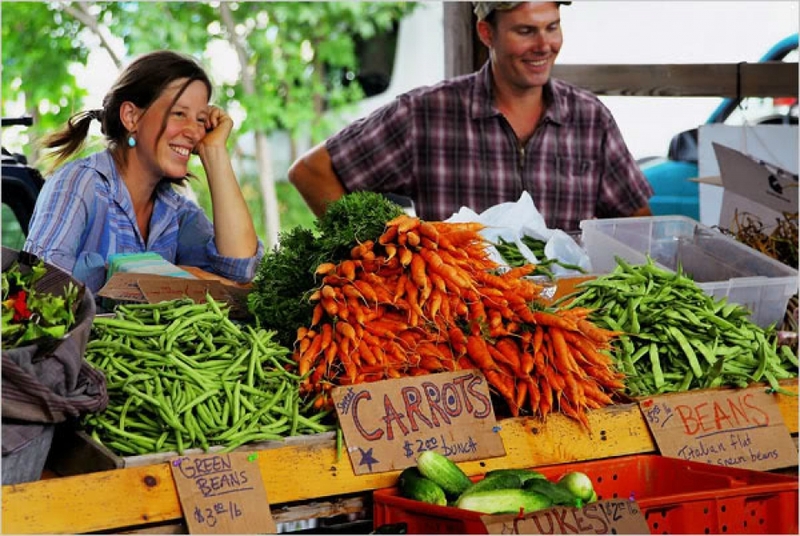 With Double Up Food Bucks you can get up to $10 of FREE Utah-grown fruits and veggies - per market day - when using your SNAP (food stamp) EBT Horizon card at participating farmers markets, mobile markets and farm stands. The program works by matching SNAP benefits, dollar-for-dollar, up to ten dollars per market day at participating markets. The matched benefits, known as Double Up Food Bucks, can be used to purchase Utah-grown fruits and vegetables. This season over 20 markets will participate in the program across Utah. The 2019 Double Up Food Bucks season will run June through October. A list of participating markets will be available in late April, 2019. To view a list of markets that participated in 2018, click HERE or see map below.